Mozambique´s vast porous borderwith east Zimbabwe is now a boon for beverages, medicines, used car tyres, and combustible fuelsmugglers who are out to dodge Zimbabwe´s punishing prices and a biting cash shortage crisis. An illustration: a crate of Coca Cola soft drinks costs a whopping18US$ here. Just ten miles across the border in Manica, Mozambique, the same sells for 10$. The price of a two-litre bottle of cooking oil, used daily by the majority of Zimbabwe´s households, has recently tripled to 10$. In Mozambique, 4$ would fetch the same. This disparity has become both a curse and blessing for businesses and smugglers in Chimanimani, a district in east Zimbabwe. Chimanimani sits alongthe granite peak mountains and thick forests that loosely act as the demarcation line with the neighbouring republic of Mozambique. Here, local Zimbabwe businesses, communities, and smugglers unite in a scheme where lorries, river canoes and motorcycles are cranked up mainly at night and in the mornings, and rumble by without any immigration checks—no border, frankly speaking—into Manica or Espungabera towns in Mozambique to scoop consignments of beers, clothes, medicines and soft drinks for onward posting to Zimbabwe. Foreign syndicates thrive by paying bribes to Mozambique border police to gain passage. Their consignments flow back to Zimbabwe by same route – totally avoiding paying customs duty and in the end helping to ground somelawful Zimbabwe beverages sellers who cannot match the artificially low prices of illegal imports. On Haroni River, I meet Isaiah. He says he is 36. “I´m the border king here in Chimanimani,” he boasts, his hands oily from hauling 20-literjerry cans of petrol onto a wobbling motorbike. He lives in a rural village outside Espungabeira, on the border of Mozambique and Zimbabwe. He dumps fuel, cartons of flour and a crate of beers into a small wooden canoe. He then rows the canoes acroass the muddy Rusitu River that buffers Zimbabwe and Mozambique in Chimanimani. He has to be steady. “My smuggling is a good deed. I keep my community going,” he adds.After all, scores in Zimbabwe are sleeping in fuel queues as shortages leaves gas stations empty. Lorries come from Chimoio town, 130 kilometres away, loaded with 30-litre drums of petrol. Isaiah and a friend, Gondai, 33 – also a “river sailor” – transfer the petrol into sub-divided ten-litre jerry cans and load them into their canoes. Minibus and van drivers across the river on Zimbabwe side stand in anticipation, smoking cigarettes as the operation sneaks towards them. It is a five-minute trip by canoeto the Zimbabwean side. Here, there is a frenetic effort to get the petrol into trailers as fast as possible. Drivers live in fear of raids, fines and seizures that may be conducted by the Zimbabwe Revenue Authority (Zimra).But so far, no customs officers from the Zimra have visited the river site. “Chimanimani district is too dusty and forgotten,” laughs Major, a minibus driver who receives goods on the Zimbabwe side. Once safely back in Mozambique, Isaiah and Gondai scrape the river mud from the soles of their gumboots. This is December. Their operations get a jolt in the arm. Lorries coming from Johannesburg, South Africa, are locked in their own smuggling trick. “Their real destination is Zimbabwe. But they head to Mozambique here instead, and lie to customs that they will offload their goods here in Mozambique. They proceed to Zimbabwe border to dump their wares across the river by canoe and quickly drive back to South Africa,” says Gondai. This three-country smuggling racket is an act of necessity because customs duty at Zimbabwe borders are so expensive. In October, Zimbabwe’s finance ministry declared that all customs duty on imported stuff will be paid in hard currency greenbacks. Smugglers’fortunes are also helped by beliefs that car fuel manufactured in Zimbabwe is sub-standard. “Diesel, petrol produced in Zimbabwe burns 30 percent faster inside engines because it is blended with sugarcane ethanol. Mozambique´s fuel stays longer in vehicle tanks,” claims Major. Profits are so tempting that some primary school-going children on both the Mozambique and Zimbabwe sides of the border are forfeiting their studies to become river canoe handlers. Promise* says he is 15. He lives on the banks of the smuggling river. “When I gave up school, it took me four days to learn how to steady a wooden boat,” he says, proud. He smuggles 20 litres of diesel and an assortment of beers at a time. Promise maneuvers the river and this time successfully brings a consignment of dangerously worn-out tyres. Adozen minibus smugglers on the Zimbabwe side mill around him, inspecting the load. He is paid in US dollars. Isaiah says the tyres are polished with black wax to fool customers that they are new. They are fitted onto used Japanese cars and sometimes used to make rubber soles. Brand new tyres in Zimbabwe cost US$100 each, so there is a thriving market for run-down tyres from Mozambique, which sell for US$20. But this causes dire road mishaps, he admits. 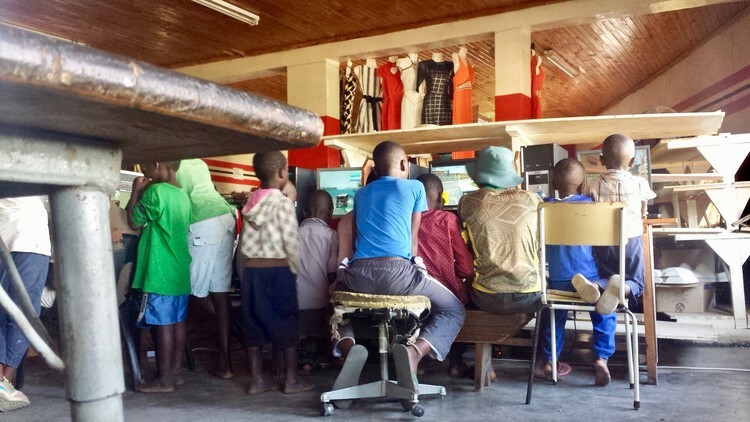 But although business is booming on the Mozambique side of the border, the knock-on effect is creating a bad outcome for Zimbabweans. Counterfeit beers, and toxic or dubious medicines are flowing in the smugglers consignments. In Zimbabwe, many people cannot afford the fees charged at hospitals.Doctors are on job action. On 5 December, the Pharmaceutical Society of Zimbabwe president, Portifa Mwendera, told parliament that their members charge forproducts in U.S. dollars, which most locals don’t have. This is because, “The crisis that we are in is critical. We have shortages for painkillers, anti-diabetes medicines,” he said[KT1] [RM2] . One popular brand carried by smugglers from across the border in Mozambique is called Tsunami.The yellowpills have flooded the streets of Mutare, Zimbabwe´s biggest border city with Mozambique. Tsunami is hawked as a multipurpose treatment for flu, skin pimples, malaria, migraine headaches, and even syphilis. “It´s such a dangerous joke. None of us medics knows the origin of this street pill,” says Dr. Laxton Majoni, an infectious diseases expert in Mutare. But buyers don’t care. "Lawful hospitals need $5 up front. Then they reveal to you they don't have drugs," said Charity Kanyekanye, a diabetes and cholesterol patient in Mutare. "Here, I just pay $2 and I can drink my medicines without a hassle." At one street-side stall, the most expensive items are smuggledpills that the seller claims are "cancer drugs". They cost around $2.50 but the price is negotiable. People like Bla John say they are small runners who get various goods from Mozambique, clothes, food, fuel and medicines and sell it forward on the streets of Zimbabwe. They don’t see themselves as sophisticated organized crime syndicates although, without knowing it they are, in a small way, enabling the transnational movements of counterfeit and unchecked medicines. They are not so keen to tell us the source of the medicines. 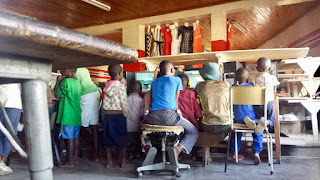 “We buy our pills from back street traders in Manica town, Mozambique, for a marked up price. This pill is for malaria, this for STIs, this for flu, colds, is all they say and send us away back to Zimbabwe,” says Bla John. They say it could be that some of the medicines are stolen from public clinics and charity stockrooms in Mozambique or originate from the many Asian (mainly Indian and Chinese) import businesses that flourish in sea-connected Mozambique. This story was produced by The Zambia Analyst News site as part of theReporting Transnational Organised Crime, a media skills development programme run by the Thomson Reuters Foundation in partnership with the EU funded ENACT programme. . More information at http://enactafrica.org/. The programme funders are not responsible for the article’s content. The content remains the editor’s sole responsibility. 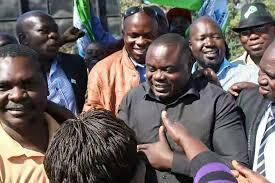 The Kitwe High Court has sent prominent Jerabo Commander Richard Chileshe, who is popularly known as Chile One, to jail for five years after he lost his appeal in his copper theft case. Chile One, who was convicted by the Kitwe Magistrate’s Court with two others in 2016, appealed the five year sentence in the Kitwe High Court. Jerabos are illegal miners who have in the recent past been trabsformed into small scale miners after their work was legalized by the Ministry of Mines. Chile One happens to be among the top few leaders known as commanders who own huge tipper trucks and employ dozens of youths who work for them at the copper rich dumpsite called Black Mountain in Kitwe. With this decision by the High Court, he is now a convict, serving a five year jail term at the Kamfinsa Correctional Facility in Kitwe. Chile One, together with John Mapoma and Danny Ngosa, are alleged to have stolen 30 copper blisters valued at K1.7 million, the property of Chambeshi Copper Smelter. After being stolen, the copper blisters were buried at Chile One’s garage. After their conviction in 2016, the three decided to appeal the matter in the Kitwe High Court on four grounds. However, on Friday, Livingstone High Court Judge-In-Charge Chilombo Maka-Phiri sitting in Kitwe, dismissed all the grounds of appeal. Justice Phiri said the appeal had no merit and she upheld the five year sentence slapped on the three by the lower court. She added that the appellants would serve the five year sentence effective Friday. After the ruling, Chile One and Ngosa were immediately led to a holding cell, en route to the Kamfinsa Correctional Facility. The judge later issued a bench warrant for Mapoma who wasn’t in the court room. The Mukula tree is an indigenous tree in many parts of the country. The tree, whose scientific name is Pterocarpus Chrysothrix, grows in people’s backyards and in most cases, villagers do not realize its potential. It is a tree which has been growing in Zambia for thousands of years. But its importance has only been discovered now after the influx of the Chinese. This has led to its indiscriminate cutting and the increase in illegal exports. The fear now is that the tree maybe wiped out. And now, a conservationist in Mafinga District of Muchinga Province has started a plantation of 20 thousand Mukula nursery for future use. Mr Steven Simwanza, who is a manager at a lodge in Mafinga, started a nursery for Mukula trees last year. 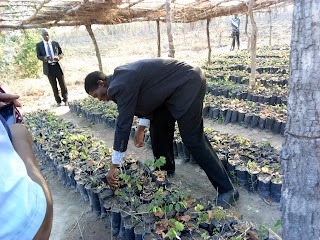 “We started this nursery last year and so far, we have sent 17,000 trees to Lusaka and here we have more than 2,500 trees. 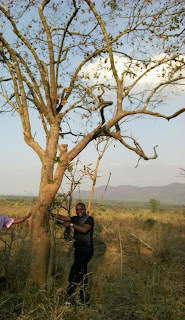 We want to conserve this tree and preserve it for the future,” said Mr Simwanza. A check at the nursery found that a number of trees had dried up while a large number of them are growing well. And Government has authorized Mr Simwanza to expand his nursery to ensure that more indigenous trees are replanted. “We are promoting the replanting of indigenous trees. We do not want them to be extinct that is why we authorized this nursery and we are encouraging more people to start replanting these trees,” said Mafinga District Forestry officer Kennedy Banda. In the past few months, the Zambian government has deployed soldiers from the Zambia Army in strategic places to stop the illegal sale of Mukula trees. Soldiers mount check points 24 hours a day on major high ways to stop the transportation of Mukula, a tree which fetches millions of dollars on the international market. According to industry experts, all parts of the Mukula tree are lucrative. Asians use its back, the stem and leaves for various use such as furniture and medicine. In Zambia, trading in Mukula is illegal but those who have been caught transporting it have had the trees confiscated and their motor vehicles forfeited to the state. The Zambia Forest and Forestry Industry Corporation (ZAFFICO) has been selling confiscated Mukula trees in the far east on behalf of the Zambian government. Last week, Lands and Natural Resources Minister Jean Kapata disclosed in Parliament that ZAFFICO had so far raised $4.3 million from the sale of illegally harvested Mukula logs in China. Beekeepers in Muchinga Province are likely to make loses this year due to the adverse effects of climate change which has made bees eat their own honey. 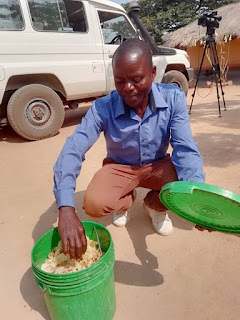 In Mafinga and Isoka Districts, beekeepers have told this blogger that due to the unexpected strong winds and high temperatures, bees have stopped coming out of the hives and are eating their own produce. This is a huge drawback for some residents whose main occupation is beekeeping. With its dense woodlands, Muchinga Province is a perfect place for beekeepers to conduct their business. In Mafinga District alone, 45 farmers are full time honey producers. These farmers were first trained in honey production by the Department of Forestry in 2005 and they have been keeping bees for business for 13 years now. Every year, they harvest honey and make money. But this year, business is hard. “We are making losses this year due to winds and high temperature. The bees are not coming out and this will lead us to losses. Because they are not coming out, they are eating the honey inside the hives,” said Lenwick Nyondo, the Chairperson of the Muleya Beekeepers Association in Mafinga District. Mr Nyondo says the change inweather will affect his earnings this year. “In a typical year, I make between K10,000 and K20,000 but this year, we may be down to K5,000,” he added. For authorities, the effects of climate change on this lucrative business is very worrying. “From my frequent tours in the district, beekeepers are complaining of climate change. The weather has really affected them. But we are hopeful that maybe next year the farmers can have better business than this year,” said Kennedy Banda, the District Forestry Officer for Mafinga. Apart from Mafinga, Isoka is another district in Muchinga Province which has been affected by climate change. Here too, beekeepers are crying of reduced yields due to high temperatures and wind. For a number of honey producers, honey badgers have also brought down their hives, dealing a big blow to their business. At Mr Nyondo’s farm, two hives were spotted on the ground after they were attacked by honey badgers which are common in the area. Beekeeping is a relatively new business in Muchinga Province. In Zambia, the North Western Province leads in the production of honey due to its unending woodlands and favourable climate.